We are a small friendly group who meet at 1.30 on the first Wednesday and third Friday of the month in the cafeteria at the Open Learning Centre in Rectory Road. We are keen to recruit new members . Everyone is welcome; no experience is required as we are happy to teach you if you havenâ€™t played before. You can choose to play either or both the games which you will quickly fall in love with. So come along and make new friends while enjoying these relaxing games in a welcoming and friendly group. 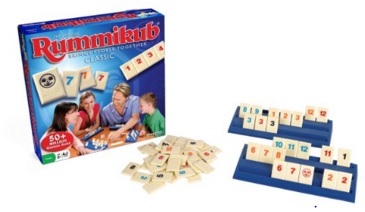 Rummikub A game for 2 to 4 players based on the popular card game of Rummy but using 106 tiles instead of a pack of cards. Canasta A card game for 2, 3 or 4 people that can be played as an individual or with a partner. 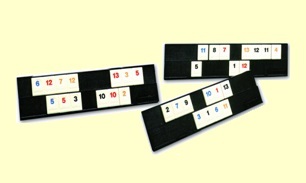 The game is similar to Rummy where you collect numbered cards. Canasta is an easy game to learn with just enough rules and strategies to make it challenging but not too demanding. The aim of the game is to score as many points as possible.